Stephanie considers herself an all-around athlete. From a young age, she played a variety of sports; basketball, volleyball, softball and even danced for 5 years. Fifteen years ago, she discovered the multi-dimensional benefits of yoga and she was instantly drawn to the lifelong study. She is constantly striving to learn and grow in her own practice while imparting what she has learned to her faithful students. Originally from Ortonville, Stephanie now resides in Clarkston with her amazing boyfriend Bob and her two sons, Wyatt and Lucas. She also cares for 2 dogs, 1 cat, and 1 gecko. When Stephanie isn't in the studio, she loves to hang with her peeps or her kiddos, hikes, loves music and enjoys spending time doing anything outside. 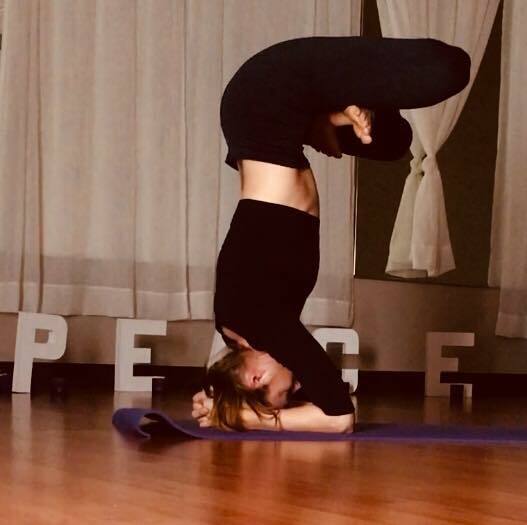 Stephanie became mat Pilates certified and has her RYT 200 yoga certification. Words that Stephanie lives by: "your soul is rooting for you."